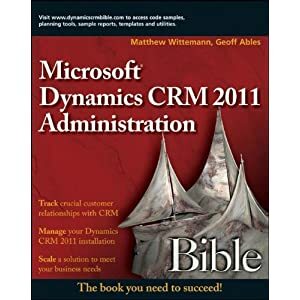 Traditionally, the 'R' in CRM has meant managing the relationship between the company that owns the CRM software and their customer, not necessarily managing the relationships those customers (contacts/leads/accounts) may have with one another. This is the thought behind the idea of XRM or CRM 2.0 - whatever trendy name they're giving it these days - the idea that your customers (contacts/leads/accounts) should have some interplay between each other and also should have some control over how those relationships are described. This way, in addition to the relationships you assign to your customers, they can self-identify relationships as well. When you get accustomed to Web 2.0 communities like LinkedIn, Facebook, etc, you start to see these relationships, but there's no parallel in traditional CRM applications. Essentially, if CRM is to evolve as a platform that keeps pace with how people use the web, then it will need to become the back end for a community that is hosted by the company that owns the CRM software. This way you'd become aware of new relationships that exist that you previously weren't aware of. The meta-layers of relational information would give you real insight into your relationships. I'm not totally sold on how this can play out in the business world, but the reality is that the nature of the 'R' in CRM is changing rapidly, and an enterprise that wants to have authentic relationships with its customers is going to need to engage them where they live, or risk being abandoned. Web 2.0 has changed the dynamics of CRM, so much so that vendors are now putting forth CRM applications that have inbuilt modules for tapping into Web 2.0 and making customer communication a two-way process as much as possible. Of course, it has its cons too. Businesses need to put a lot of faith in customer/reviewer integrity and hope that all communicators are being honest. I do not really agree with the "Essentially, if CRM is to evolve as a platform that keeps pace with how people use the web, then it will need to become the back end for a community that is hosted by the company that owns the CRM software." part. Will CRM vendors and businesses own the communities? I appreciate your thoughtful comments. I stand by my statement, though it may be an over-generalization. My feeling is that the individuals we classify as "customers" are going to begin expecting that the entities they choose to do business with will be trusted in some way, whether that's through direct relations or a trust that is inherited from another trusted entity. Businesses are going to have to start trusting their audience to self-identify - both for legal reasons and because of the growing influence of social communities/media. I think it's just a matter of pragmatism: companies that don't place this level of trust in their customers will start dropping off the radar, first for the most savvy consumers, and eventually for the wider market. There are definitely going to be questions that need to be addressed about how much information and trust you place in the hands of your audience, but the companies that default to a trusting stance will come out ahead of companies that default to a command-and-control approach.